The eOne iPhone / Android phone app is a contact, task and listing management app that has been specifically designed to allow you to carry your most important data in your pocket, with quick and easy reminders and calendar entries. 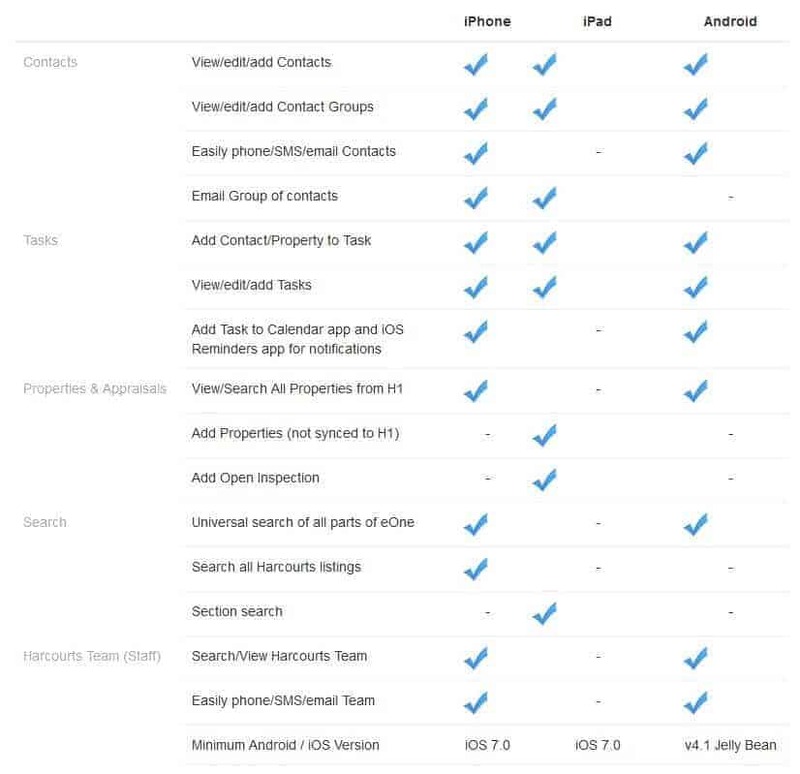 The eOne iPad app is a contact, task and listing management app designed for the larger iPad screen to make your contact, task management and open inspection data collection as easy as possible, saving you time and money. Please click on your Country below to log into Harcourts One Technology Products.